But it is always around this time of year that everyone seems to really get on board with food and I watch my website visitors creep up and up and up on that graph. Ooooh yes, Winter really is the Food Blogger’s time to shine! As it is food the food lover’s with the abundance of festive food and perhaps ever so slightly larger portions because y’know, those big jumpers allow it. I feel ever so lucky that I get to have a sneak peak at upcoming festive goodies that I can share with you guys – fellow lovers of tasty things! This post is all about that lovely, luxury and ever so British brand: Harrods. So the Harrods Christmas hampers are a big deal. So much so that they are kept top secret and I couldn’t even be told what was arriving! Cue massive curiosity when it came! 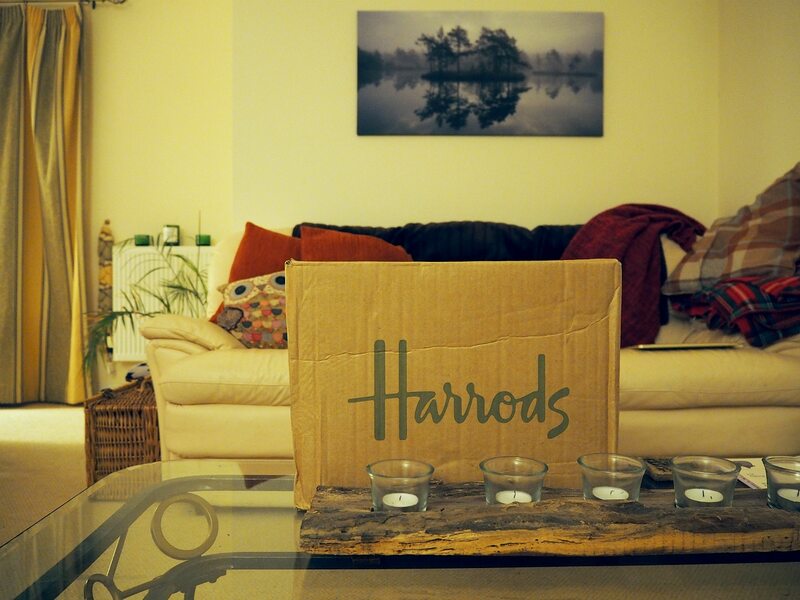 I got home late one evening to find my Harrods package waiting in the living room and I was so excited I had to snap some pics right there! The lid slides off of that lovely duck egg blue box to reveal a collection of luxury goodies nestled among rustic rolls of shredded paper. I’d been sent the Indulgence Gift Box. 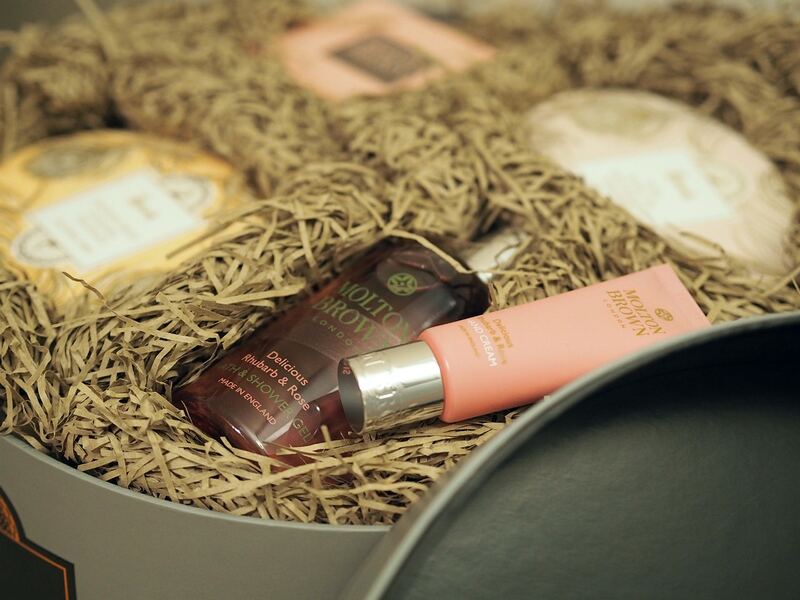 Curiosity satisfied and blogger mode engaged, here’s what the contents of my Indulgence Gift Box look like. 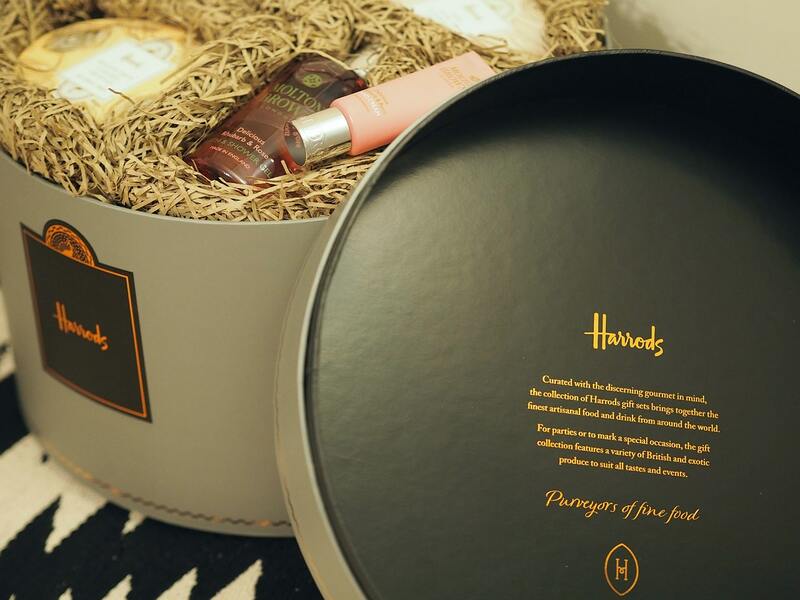 The Harrods range includes items in traditional wicker hampers, as well as packages presented in a contemporary round box which is the kind that mine arrived in. Now I don’t mean to go all cat on you and appreciate the packaging more than the contents, but as someone with a habit for hoarding beautiful boxes, this one had my eyes lighting up! It’s absolutely gorgeous, completed with a silky black ribbon for a handle. It reminds me of the shopping you’d see movie stars carrying in old-fashioned films. It’s a smart looking gift, don’t you think? Rummaging around in that box is like a lucky dip (…a really classy lucky dip) to pluck out all your lovely gifts. This was a mix of delicious edible treats and Molton Brown products which smelled good enough to eat. The Harrods hampers and gift boxes focus on quality rather than quantity and this gift box retails at £150. 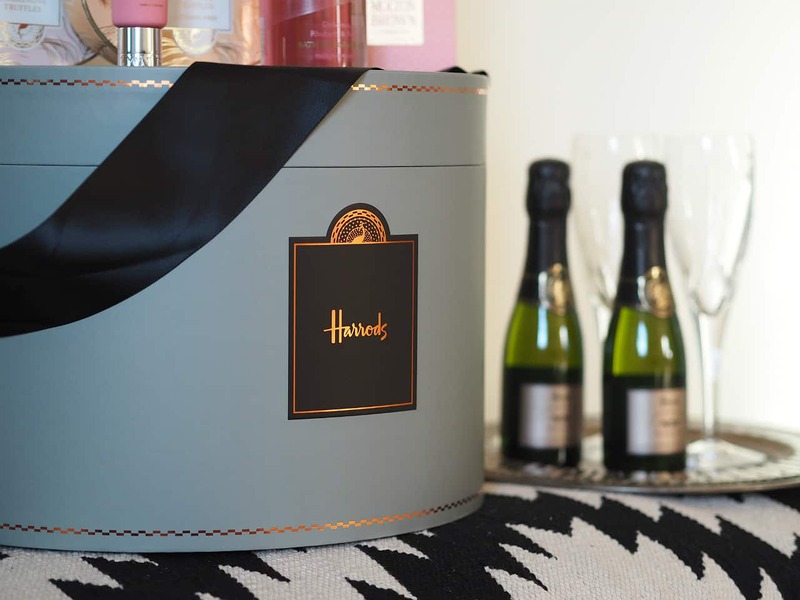 The Harrods range is pretty dizzying and varies from simplistic packages around the £35 mark, way up to the most extravagant of hampers with four-figures attached, and enough food and drink to keep a King in his castle happy for an entire year! 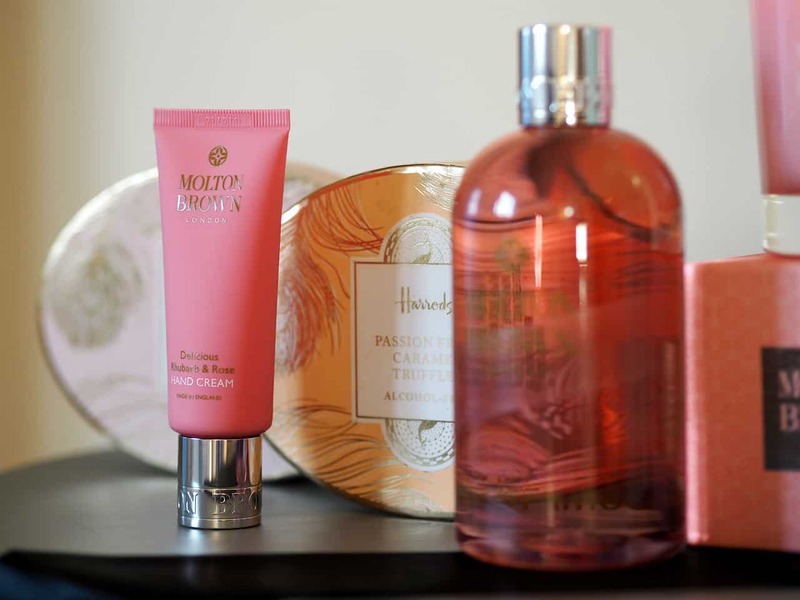 There really are some luxury gifts in here: the Molton Brown candle alone is £55! It smells absolutely divine and soon after lighting quickly fills your room with fruity floral fragrance. The mini bottles are actually a really smart idea for a hamper, which is meant to be nibbled and picked at. These mean you can enjoy a glass or two without having to pop a great big bottle. 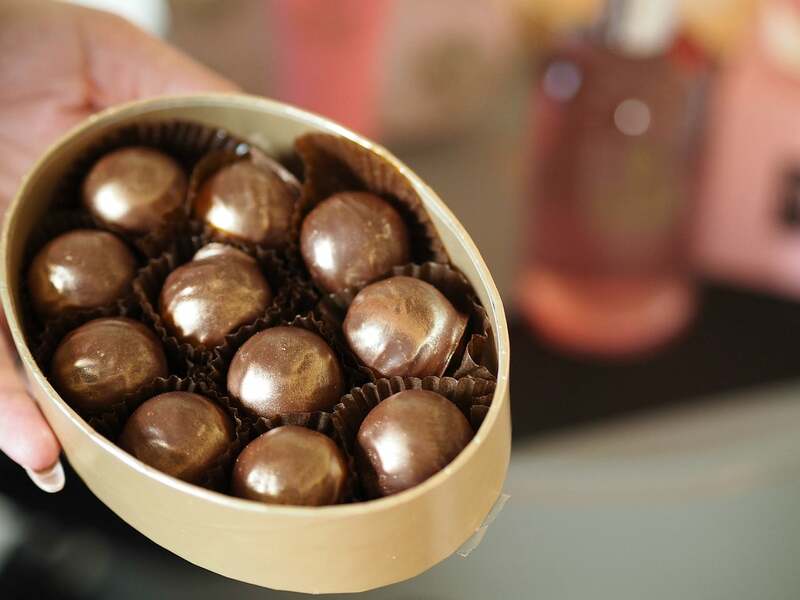 The passion fruit caramels are dusted with gold and look so very festive and fancy! These are incredibly sweet so if you’ve got a sugar feind for a loved one you might want to bare these in mind for them. So pink and pretty and perfect! 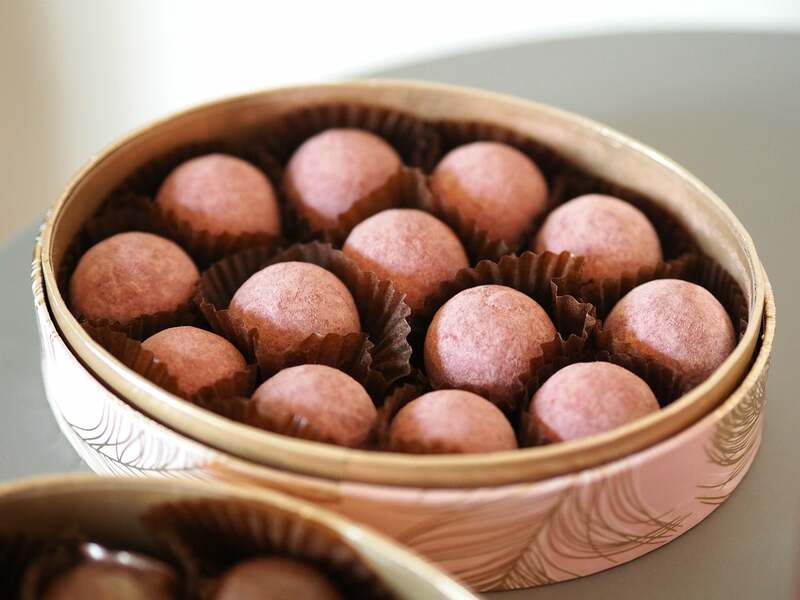 I adore champagne truffles and these ones are especially good. What I really like about this hamper is that it’s a well though out selection of items that provides a complete experience. 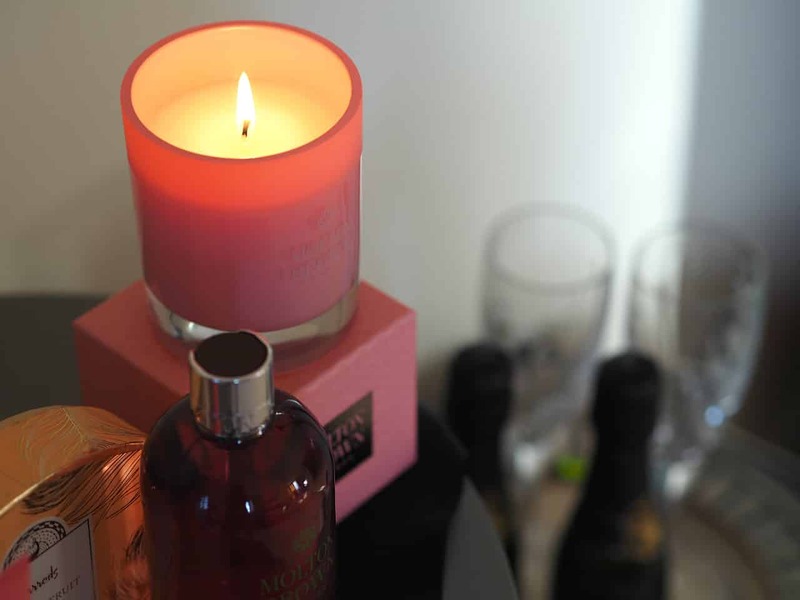 You can imagine unwinding with a Molton Brown shower, before relaxing with some bubbly and chocolates with your feet up and the candles lit. Simple, classy indulgence which I have very much enjoyed indulging in over the last few days! 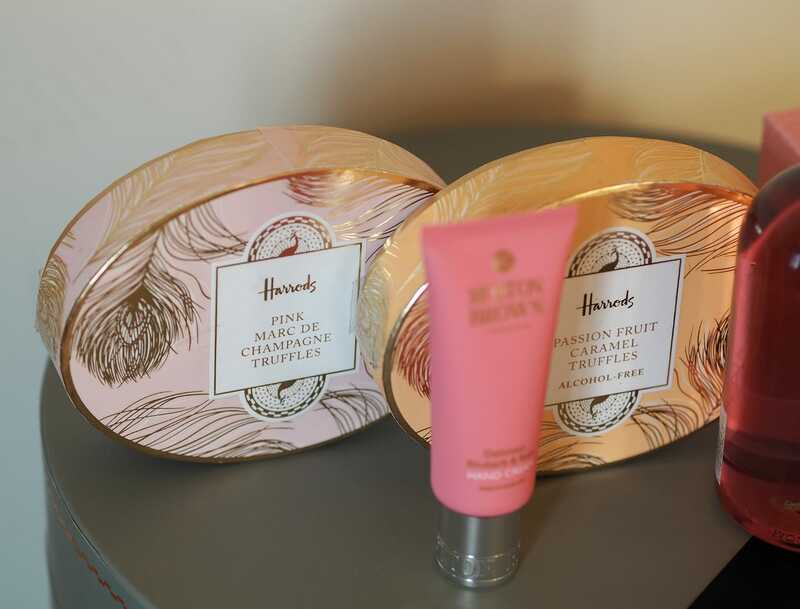 Harrods Exquisite Collection, £175: beautiful looking puddings, cakes, chocolates and teas. The Christmas Carol, £100: buy this for everyone you’re spending Christmas with and enjoy a gourmet Boxing Day feasting together! 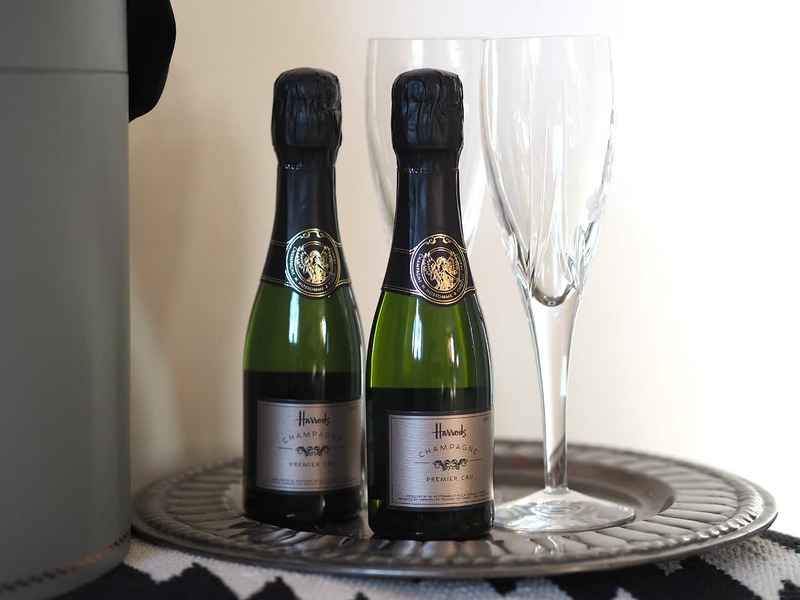 Champagne Trio, £125: For the bubbly enthusiast in your life (we all know one). Harrods seriously know how to do luxury at Christmas time… I’m a bit grinchy about getting into the Christmas spirit before December but I recently went to their Christmas Showcase for their food hampers and was blown away! 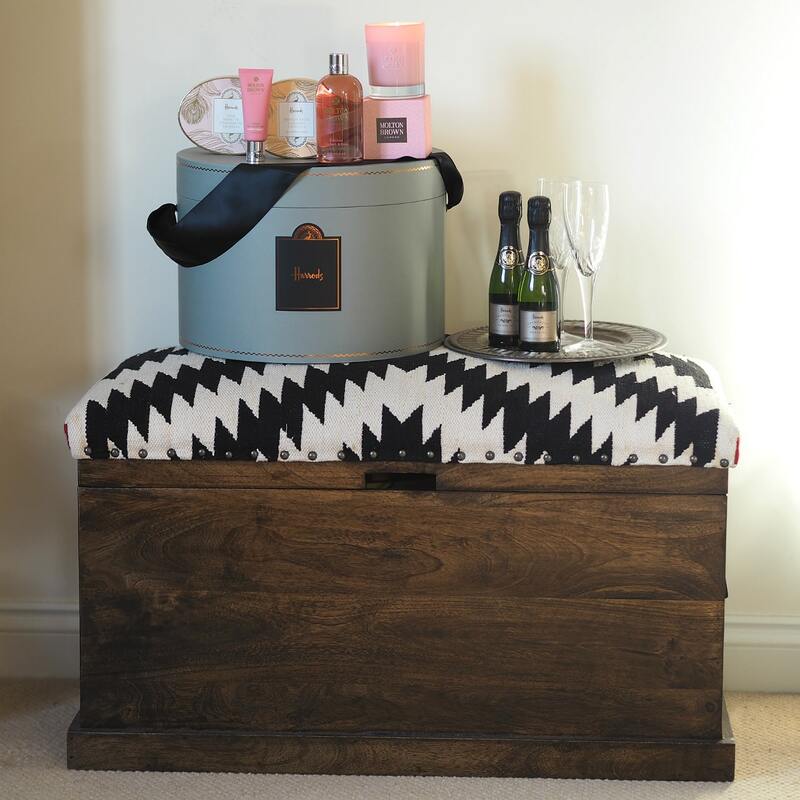 Love the look of this hamper – cue the Christmas pampering! They certainly do! The Harrods hampers are definitely the higher end of the price spectrum but they’re so special, imagine having one of these beautiful boxes waiting for you under the tree!